One of the most successful and popular snowmobile racers/athletes in the sport today, Tucker Hibbert, has agreed to contribute to the On Snow Magazine (OSM) guest editorial team for coming season. Tucker will pen five guest editorials, each appearing in the fast growing On Snow Magazine in both the United States and Canada. Tucker will give readers a behind the scenes look into the personal life of T-Train, his wife Mandi as well as family members and crew who make up Team 68. Click HERE to read the full release. 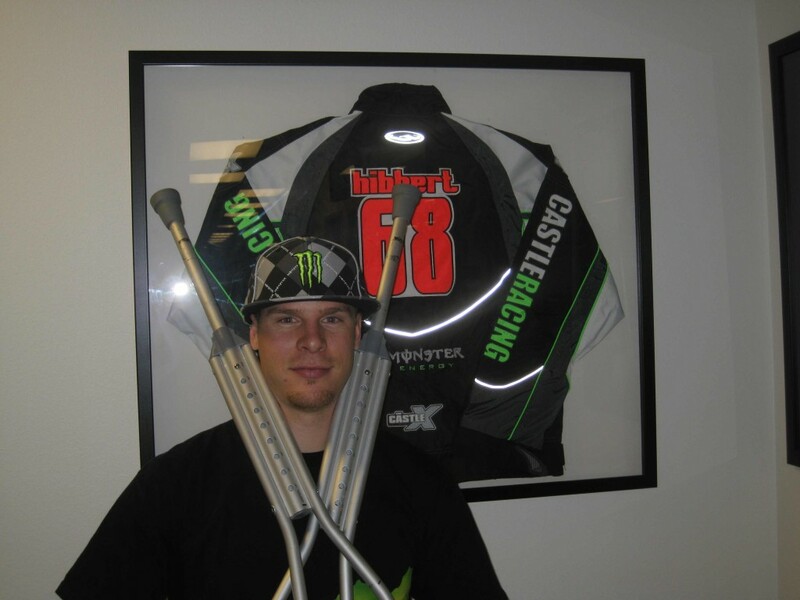 After a week of being stuck on the couch recovering from his surgery, Tucker escaped to Corona to hang out with the crew at Monster Energy. The last time he visited Monster’s headquarters they were at a different location so it was his first time visiting “the Beast’s” current lair. It was like taking a trip down memory lane checking out all of the T-Train memorabilia. He found a couple helmets, retro gear and a even a poster from 2003. He plans on returning the end of the month during Summer X Games to see what kind of trouble he can get into without his crutches. 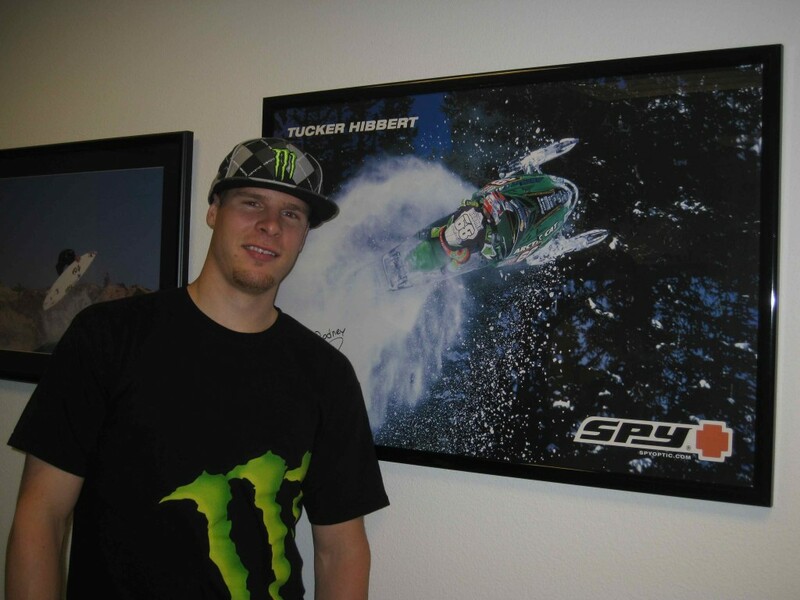 Stay posted to Monster Energy’s Facebook Page for a video of Tucker hanging out at the office. After seeing no improvement in his knee since his Memorial weekend crash, the decision was made by Dr. Paul Reiman and ATC Eddie Casillas for Tucker to have arthroscopic knee surgery. On Wednesday, Dr. Reiman successfully fixed the damage in Tucker’s right knee and said he is on schedule to resume his regular riding and training late August.